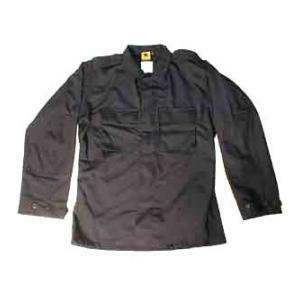 This long sleeve BDU shirt is made of a poly/cotton rip-stop blend. It has two breast pockets with covered button flaps, three button adjustable cuffs, two shoulder epaulets and double reinforced elbows. US materials sewn to military specs.